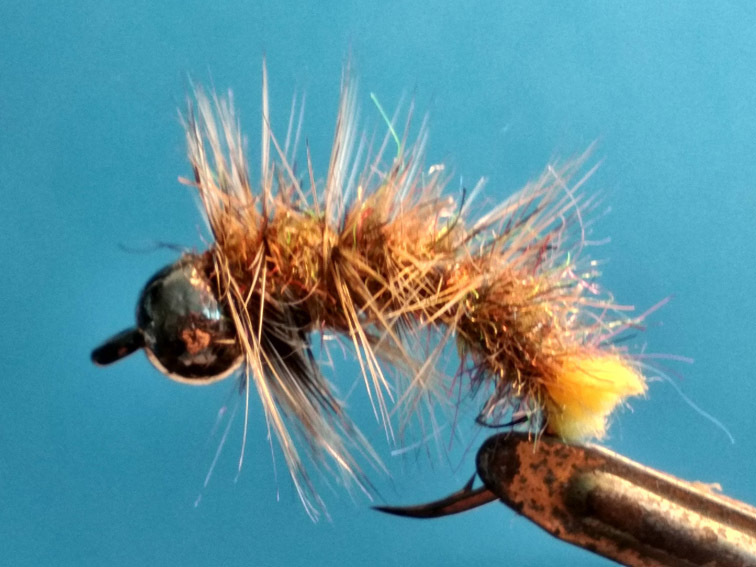 These are the simple working nymphs: easy-to-tie and very strong. 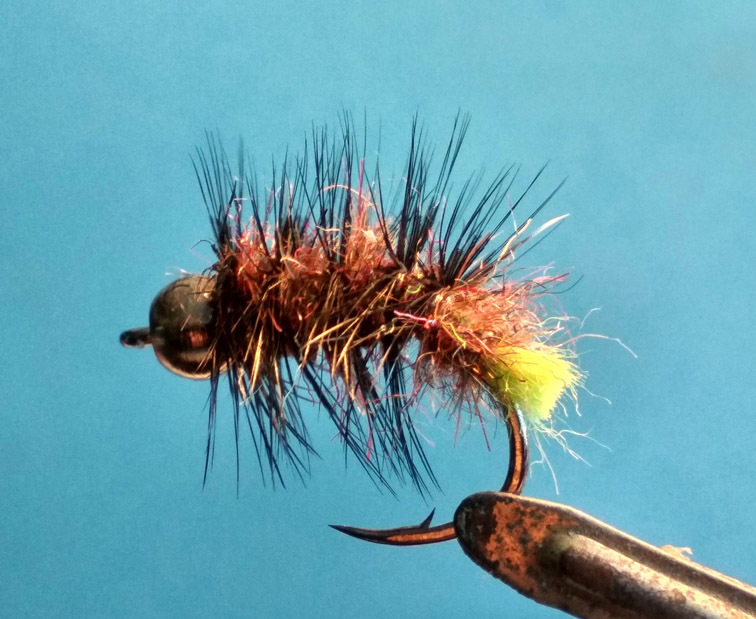 The body is made out of dubbing brush on the thinnest wire. 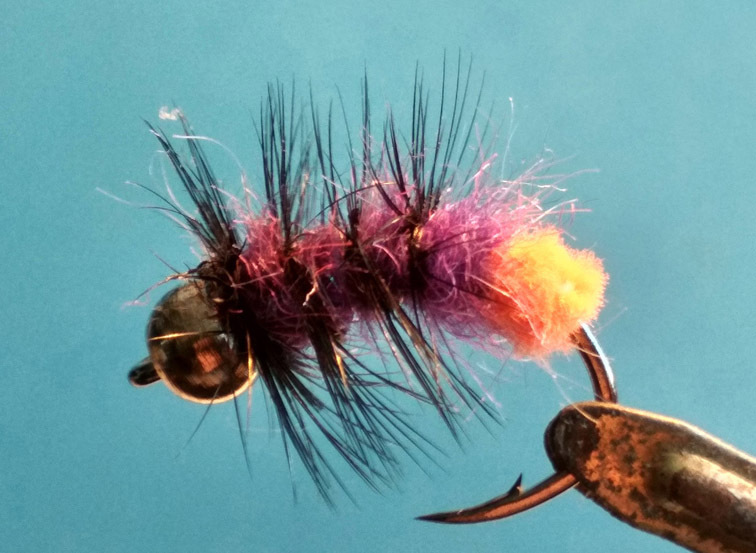 Instead of the tying thread I use 0.12 mm mono line. All of these flies are heavily weighted - their weight is from 0.5 to 1 gram. 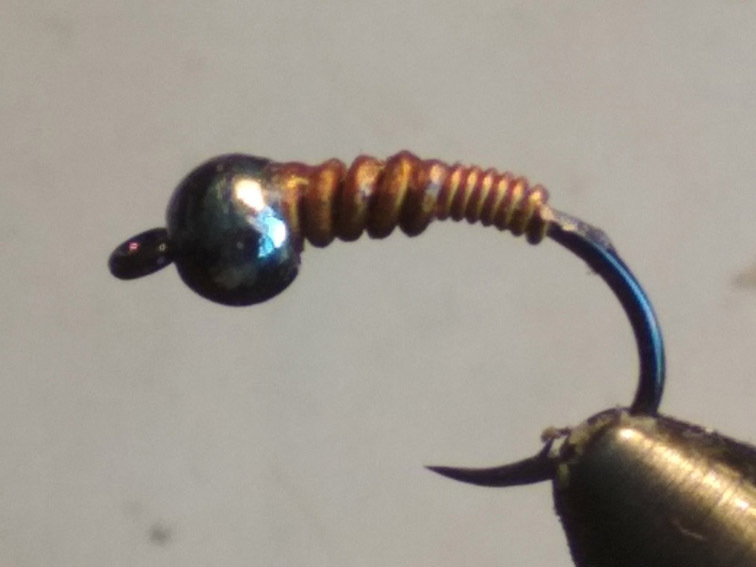 Hook sizes mostly # 6. 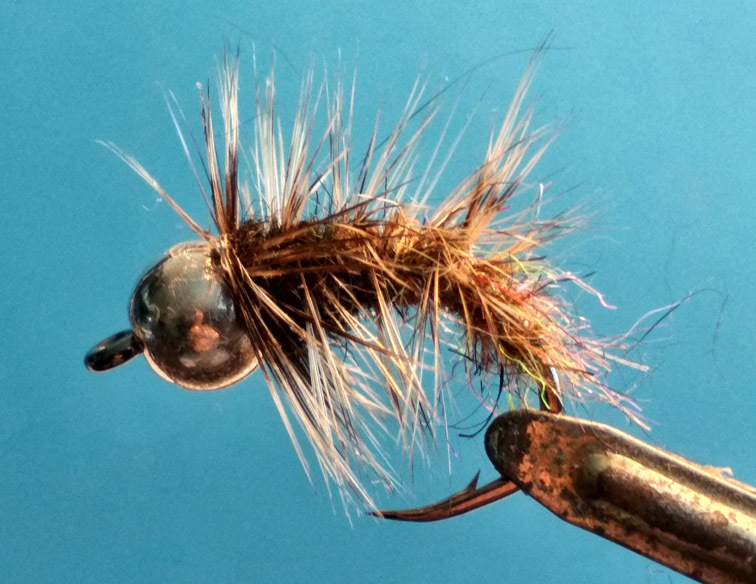 These flies are designed for using as a lower nymph when fishing with the modified “short nymph” method. 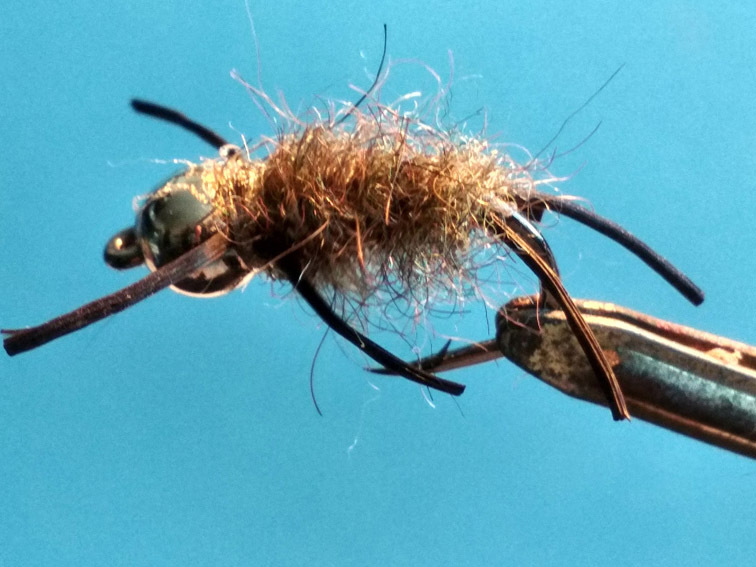 With this method of fishing, you do not need a fly line (I use 0.4 mm mono line). 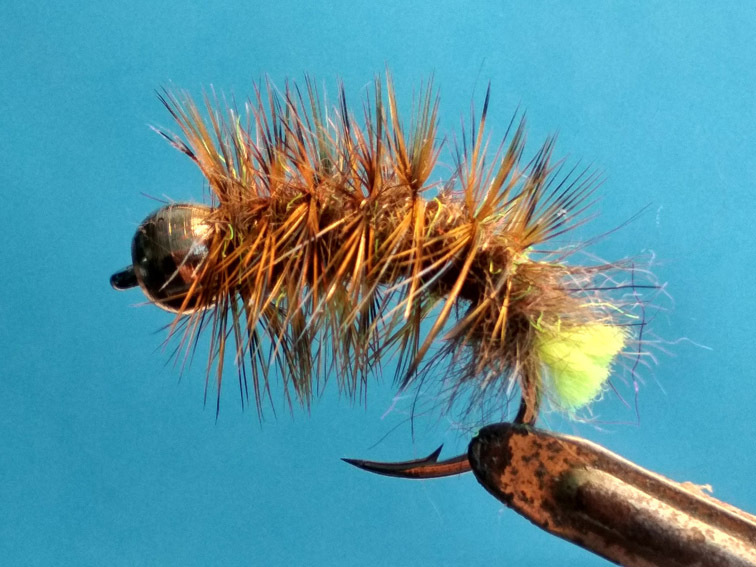 In contrast to the “short nymph”, I release rather longer line - from 2 to 4 meters plus the tippet. This allows me to fish at different distances.